I’m Nancy Brook and I’ve been working with cancer patients and their families for more than twenty years to help them navigate their most challenging healthcare journey. I am a nurse practitioner, a certified coach and a former Disney Cast Member. And I am so glad you’re here! It All Began With a Mouse. 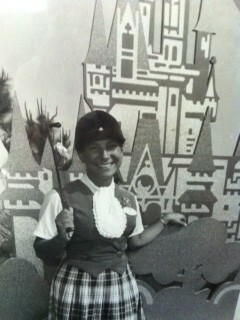 It’s true, I began my career as a Disney Cast Member working at the Most Magical Place on Earth . It was my dream to work for Walt Disney, and at the age of twenty my dream came true. My job was to create memorable experiences for guests and their families, and to train new company employees in the Disney tradition . It was through Disney’s leadership that I learned how to provide first class service, and treat people well. When my mother was diagnosed with cancer, I found myself feeling helpless instead of helpful. I was completely unprepared for a situation that was complex and painful. I’m not sure that any of us is prepared for that kind of news. Even though nearly one in five people in the US are diagnosed with cancer, I felt completely alone. I knew that for me knowledge was power and soon found myself back at school, gaining graduate degrees in both counseling psychology and nursing, and eventually settling into a 20+ year career as a Nurse Practitioner with a focus in oncology. Since then, I have treated each of my patients with the expertise I wish I could have shared with my mother, and I would love to help support and empower you as you face these new and unexpected challenges. It isn’t easy, and none of us is truly prepared. Under my care, I have watched patients bloom into powerful heroes and heroines — fighting for their health, fighting for their rights, and often, fighting for their lives. I have witnessed suffering that I could not imagine and courage that inspired me. I have been reminded that hope and possibility are always options and that every day is a gift to celebrate. And that sometimes what you need most is an advocate, someone to help make sense of a situation that sometimes makes no sense at all. I have missed the magic of working for Disney, but as a nurse, I discovered a new kind of magic — the magic of service, education, and empowerment. I trained at Vanderbilt University, and then under Oprah’s favorite Life Coach and O Magazine columnist Dr. Martha Beck. 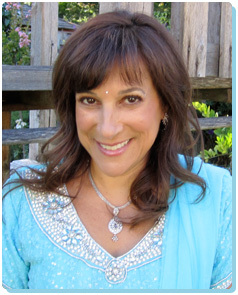 I have been mentored by Susan Hyatt, and Lissa Rankin, MD, true visionaries revolutionizing women’s health and wellness. Through Glass Slipper Consulting, I’m able to do what I love the most — I get to remind people every day that with the right mindset and resources, you can solve any problem, and fight any battle. I have momentous dreams and big plans for Glass Slipper. Plans are in the works for a non-profit branch of my business, granting wishes and building dreams for girls. And I’m getting ready to publish a book to help spread the Glass Slipper magic. I believe in the importance of giving back, and am a passionate volunteer. I’m a wish granter for the Make-A-Wish Foundation and volunteer at Give Kids The World because everyone deserves a wish.